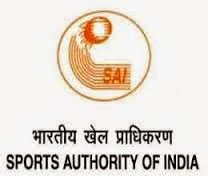 Sports Authority of India Recruitment 2015: Sports Authority of India (SAI) has published the advertisement for the recruitment of the coaches on contract basis for the initial period of one year separately for the two zones such as SAI North East Centers and rest of India. Candidates from North Eastern regions will be posted in the same region and similarly the candidates who are from rest of India will be posted in the SAI centers India. Candidates are not eligible for the transfer for the particular during the contract period. Aspirants who are interested to apply for the this recruitment, they can apply before the last date for the receipt of applications (26th May 2015). Last date for the receipt of the application form for the candidates from North East, A&N Islands, Lakshadweep and Ladhakh Region is 5th May 2015. 2. Application Fee: Rs. 500/- Demand Draft should be taken in favor of "Secretary, Sports Authority of India, New Delhi". 3. Age Limit: Max 30 year on 26th May 2015. For Yoga Post:- Graduate from a recognized Indian university, Degree / Diploma (at least of one year duration) & 10 years experience of teaching of yoga in a recognized institution or equivalent. Other than Yoga Post: Diploma in Coaching from SAI NSNIS Patiala or from any recognized university, Participated in Olympics / Asian Games / World Championship with a Certificate Course & completed two levels of accreditation / certificate courses by International Federation. The Application is available in the SAI website. The Application should be filled carefully as per the format given and it is to be self attested. The duly filled application form is sent to the Director (Personnel & Coaching), Sports Authority of India, Jawaharlal Nehru Stadium Complex (East Gate), Gate No.10, Lodhi Road, New Delhi -110 003 through Speed Post/Registered/ordinary post. Note: Candidates should mention the discipline on the top of the envelope and attach the supporting documents & bank draft along with the application.